Our son, Augie, loves rummage sales and flea markets, so we stopped yesterday at Cambridge’s Amundson Center to check out a Vintage Harvest estate sale. Among the retro kitchenware, furniture, and household knicknacks, was a table of miscellaneous hardback books, mostly postwar popular novels from the 1950s and 60s, selling for $2 each. 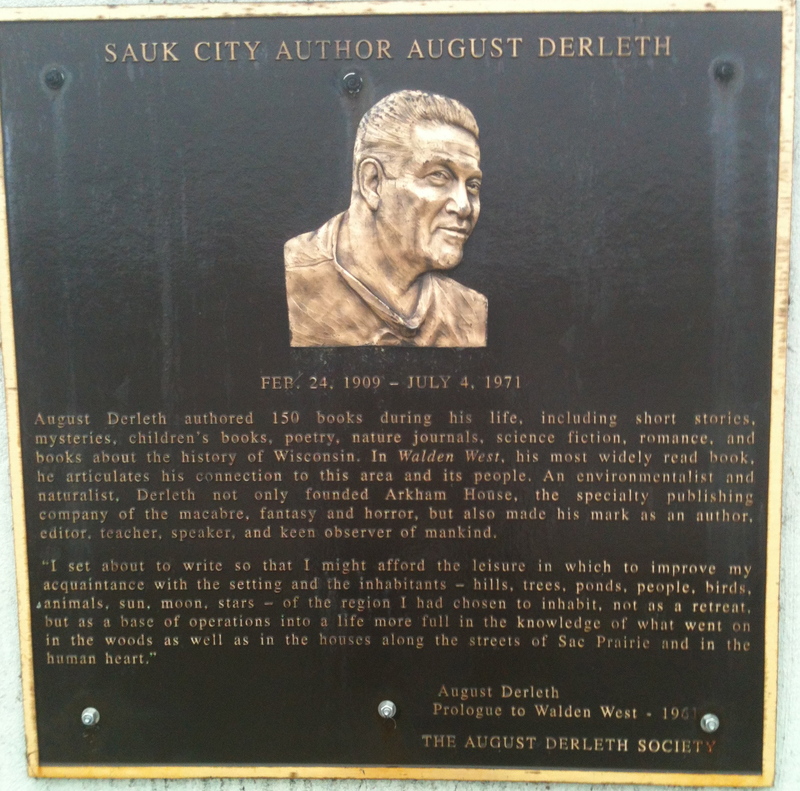 Didn’t take long to spot three volumes by Wisconsin’s premiere writer (and Augie’s namesake), August Derleth (1909-1971), lifelong resident and chronicler of Sauk City. 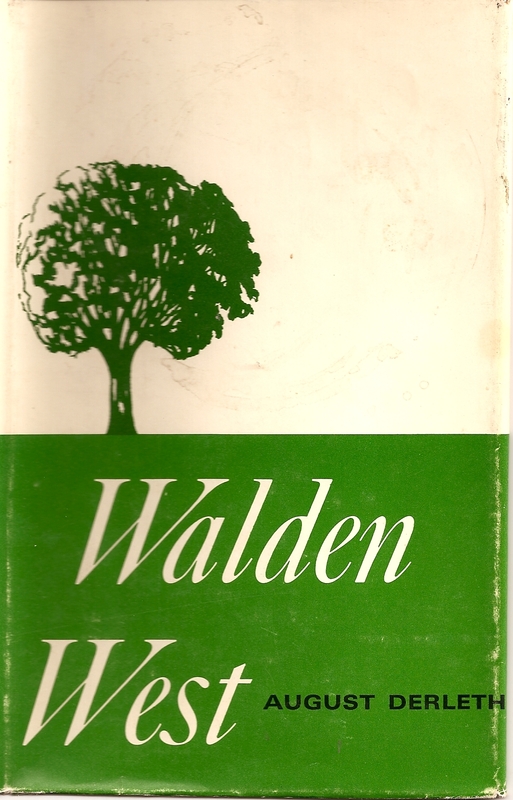 One of the books, Return to Walden West (1970), was inscribed by the author. (The other two were a 1945 Stanton and Lee edition of Evening in Spring and a 1945 Scribners edition of The Shield of the Valiant, easily Derleth’s two finest literary novels, exquisite portraits of growing up in a midwestern small town.) Needless to say, this was six bucks well spent. Now and then, in the course of my walks in the hills or marshes, there were brief periods when awareness of unity with all nature burgeoned—a sense of utter harmony with all things: leaf, stone, soil, blade, water, air—of kinship with insect, bird, all wild creatures—a pouring forth of secret springs deep within, filling me with an almost unbearable bliss. Every sense seemed heightened—I heard the distant hermit thrush as were it at my right hand—the fragrance of maple leaves was never so pervasive—I felt the wind as an intimate caress—I saw deep into the heavens in an experience that was both sensual and spiritual.